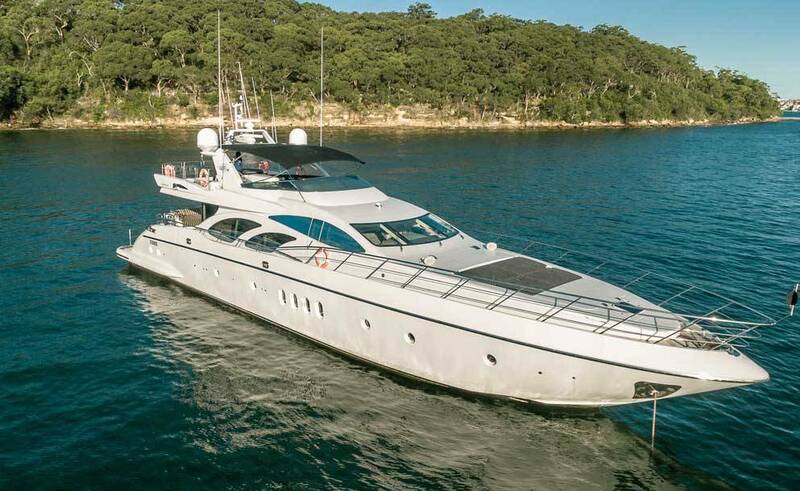 Enjoy an unforgettable day on board this fabulous 98ft superyacht. Whatever your occasion, your guests cannot fail to be completely blown away by Seven Star. 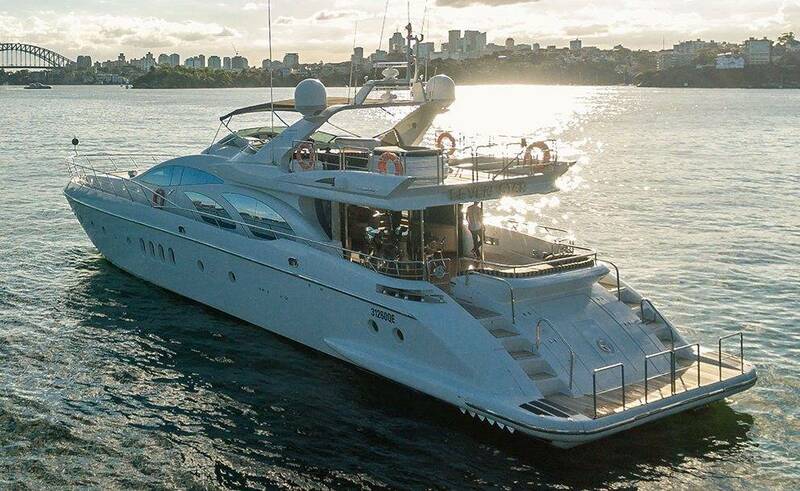 Comfortably accommodating up to 80 guests for a cocktail party or event, 70 guests for a casual buffet or 10 for table dining the options for entertainment are many on this large and versatile vessel. You can cocoon yourselves in the spectacular main saloon and bar area for an intimate and cosy dining experience. 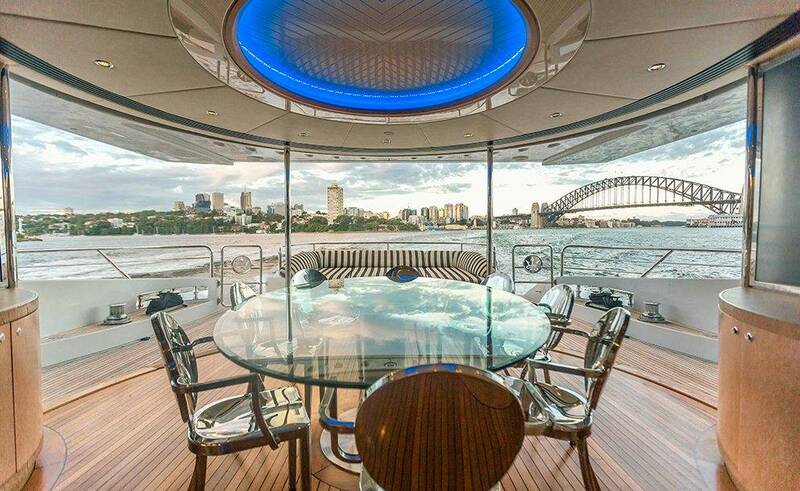 Maybe open the large curved sliding doors which lead onto the glamorous aft deck to bring the outside inside. 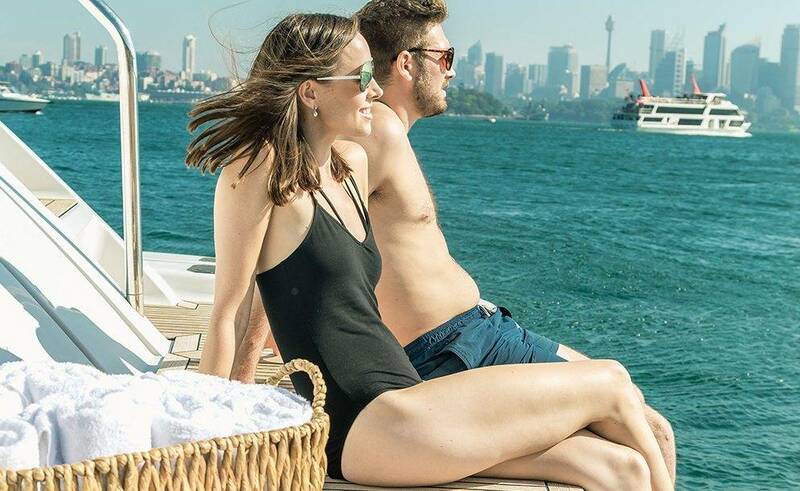 Take in panoramic views of the world-famous harbour from the flybridge, enjoying delicious BBQ while the awnings protect you from the sun. There is seating and a table available for use on the bridge so you can dine in comfort. Also, there are several delicious premium catering packages to choose from to enhance your cruising experience. 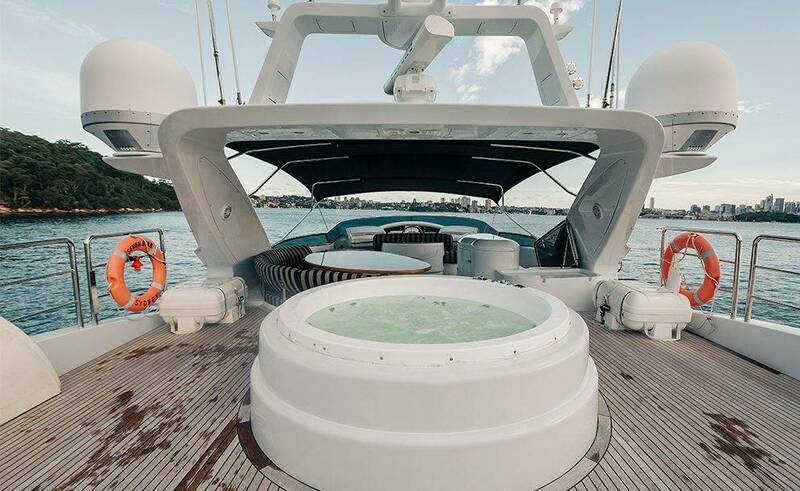 Relax in the hot tub on the sun deck after enjoying some exhilarating water sports, or just as a place to chat and catch up with friends. Alternatively, the tub can be used as a plunge pool to get everyone’s senses zinging! Also, this can be an ideal option for a truly indulgent overnight stay for up to 6 lucky people. Also, the Seven Star has a magnificent main stateroom with a high-end ensuite bathroom. 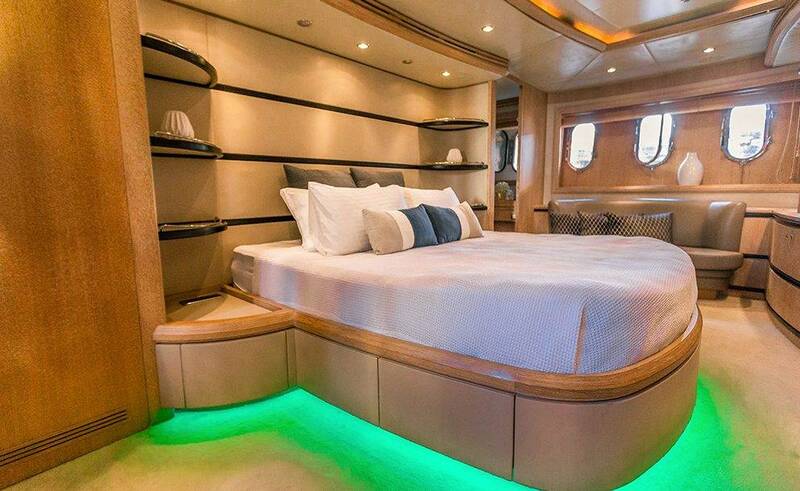 There are two twin bedded staterooms also benefit from ensuite bathrooms. All three cabins have VCR and Sony Hi/Fi home theatre. Plus a CD/DVD player as well as iPod docking stations and satellite phones. So your guests will be spoilt for choice when it comes to entertainment options. 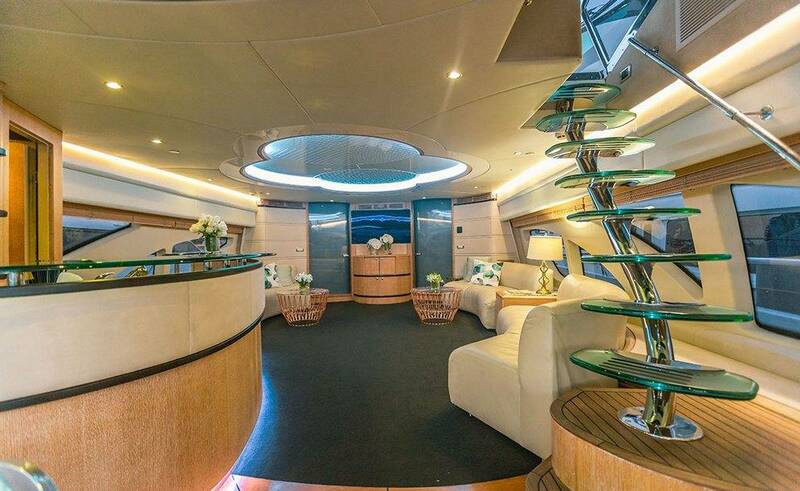 So, this is the absolute height of luxury on Seven Star. That has everything, and more you would expect of a high-end venue. So treat yourself to the pampering you deserve!